Lately, I am loving all things rustic. 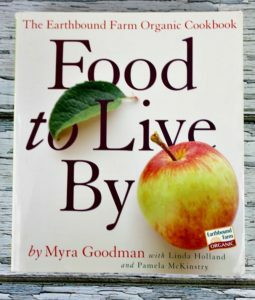 I’ve been thinking about the upcoming holiday season and what to gift to friends and family members. 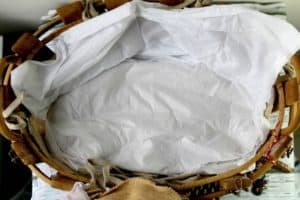 I thought it might be a good idea to put together a rustic holiday gift basket. I love the way it turned out so much, I just had to share it! 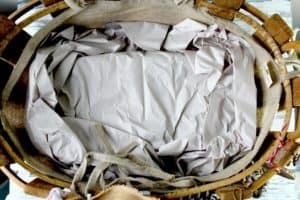 First, you need a basket in a size that will hold everything you are planning to put into it! I actually already had the basket. I picked it up at a craft store, but you can find cute baskets almost anywhere! 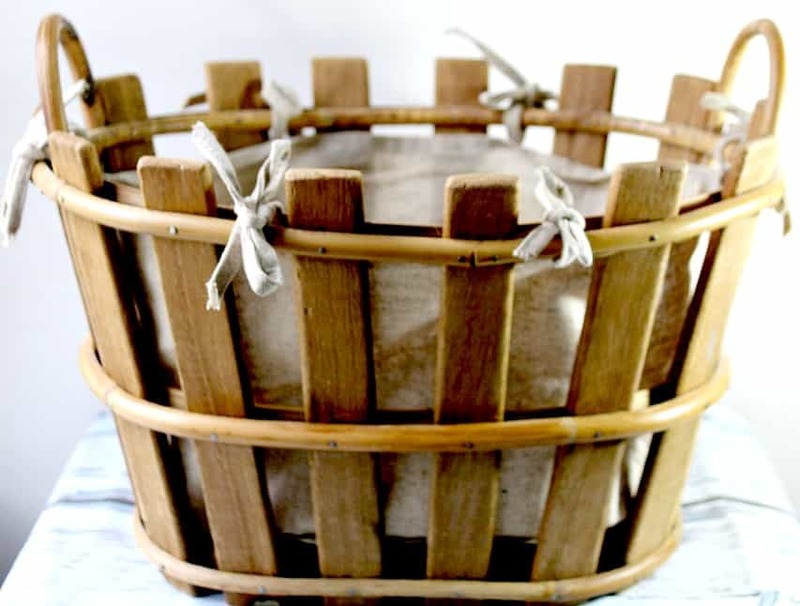 I prefer to use the baskets with linings in them for gifts so nothing pokes out of the basket weave. I added a few small boxes into the bottom and covered them with tissue paper so that my gifts would be more visible. Candles – I absolutely love candles and they always make a great gift! Scents like vanilla, sugar, and apple scents totally give a rustic home vibe and are perfect for this time of year. 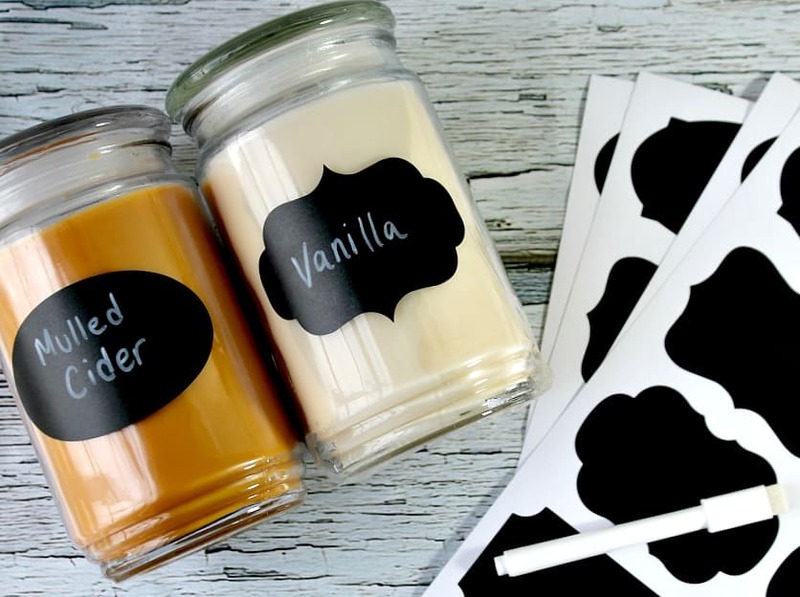 I removed the labels and added a chalkboard label with the scent written on it. 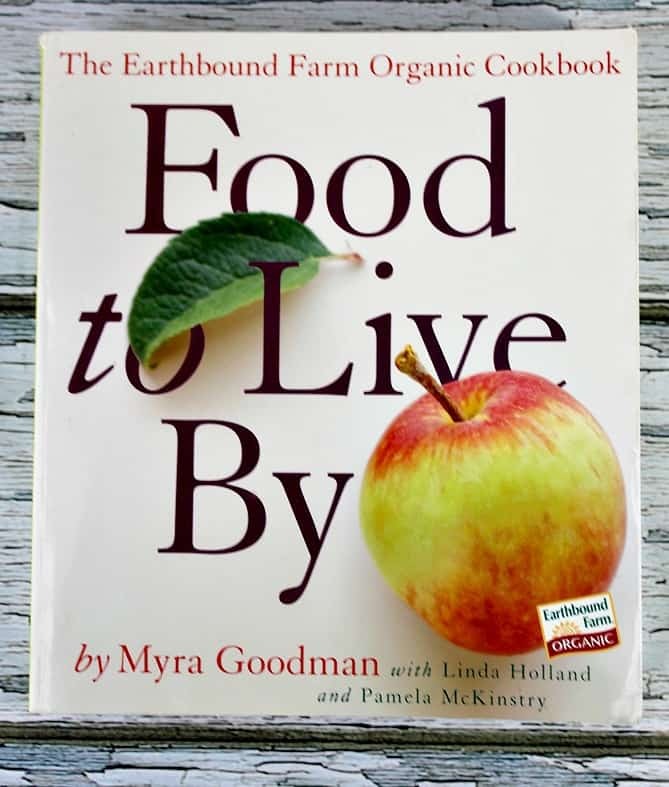 Two Cookbooks – farm to table cooking has been steadily growing in popularity. I think it’s so popular because it reminds us of the way things used to be (and maybe even how they should be!). 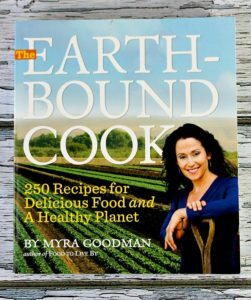 Simple recipes from when times were simple. Rustic and homey! 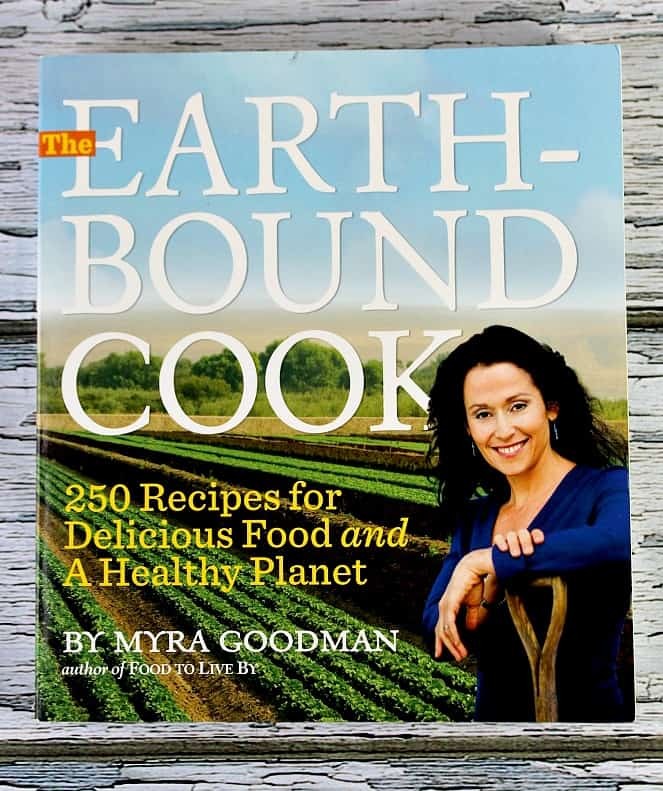 Food to Live By and Earthbound Cook are two of my favorites! 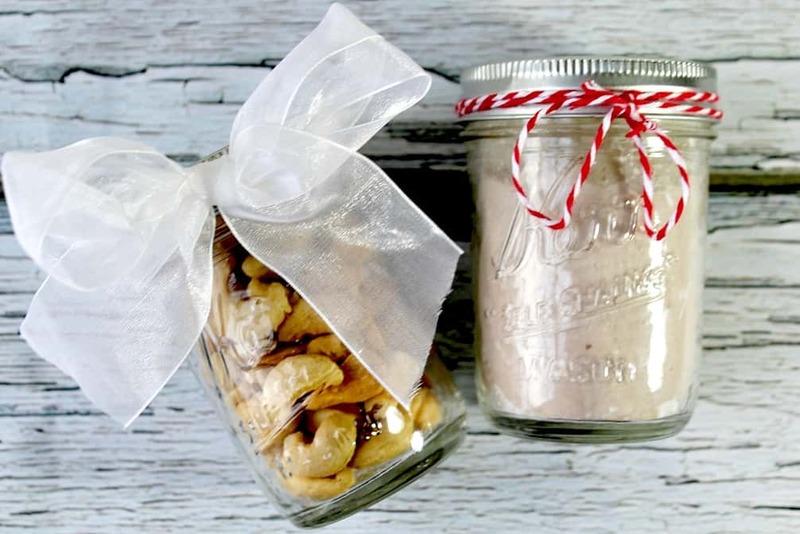 Treats in Canning Jars – these canning jars are filled with homemade hot cocoa mix and nuts, but you can fill them with any small treat the person you’re gifting the basket to loves! 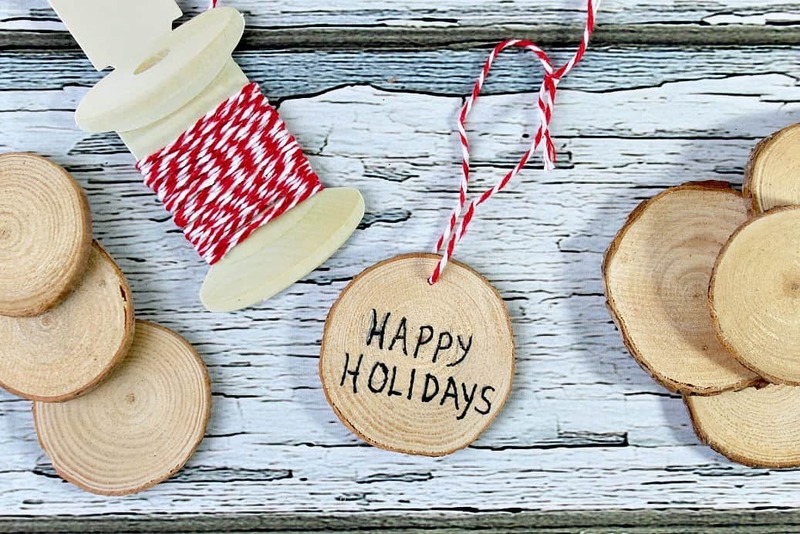 I just wrapped a little twine or ribbon around the jar to give it an even more rustic holiday touch! 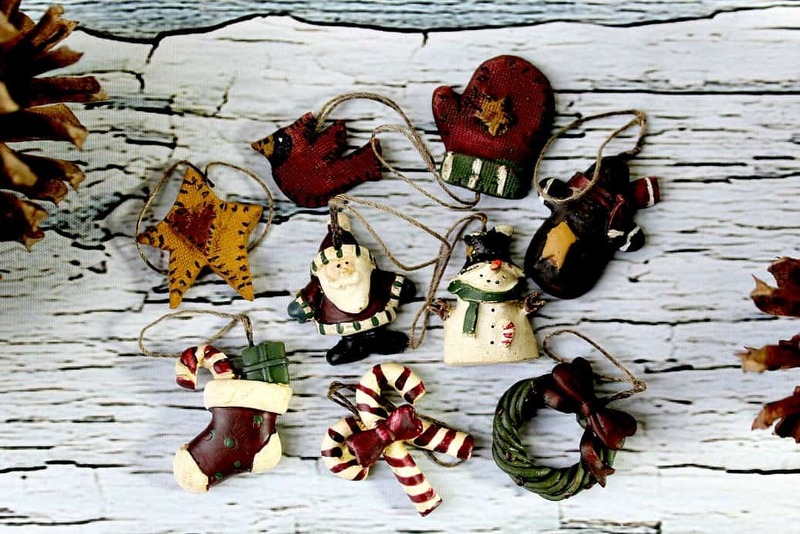 Ornaments – I love the rustic charm of these little ornaments. These are small but made a great accent around the top of my basket. 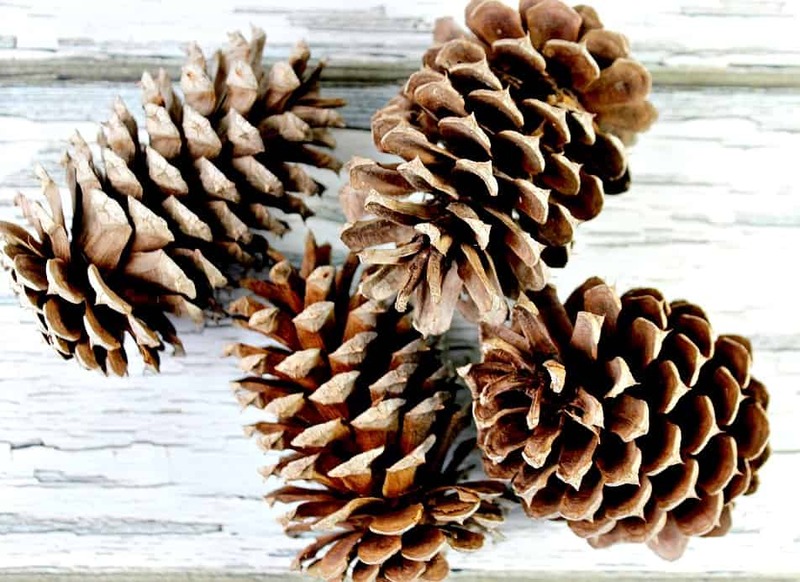 Scented Pine Cones – My oldest son and I found these in our neighborhood. They make a great filler and keep the basket smelling of the holidays by putting a few drops of cinnamon essential oil onto each one. I arranged everything in the basket then tied a bow made from burlap and sheer white ribbon onto one side. I used pine tree slices to make the name tag! All I had to do was drill a hole in one edge to thread some twine through and wrote my message on one side and the recipient’s name on the other! You can put all kinds of things into a rustic winter holiday basket. Some other ideas I thought about were dish towels, wood cutting boards, baking mixes, and candle holders. I even saw rusted jingle bells and thought they would look so cute hanging over the side of the basket, but refrained since the baby and the dog would probably go nuts over them! 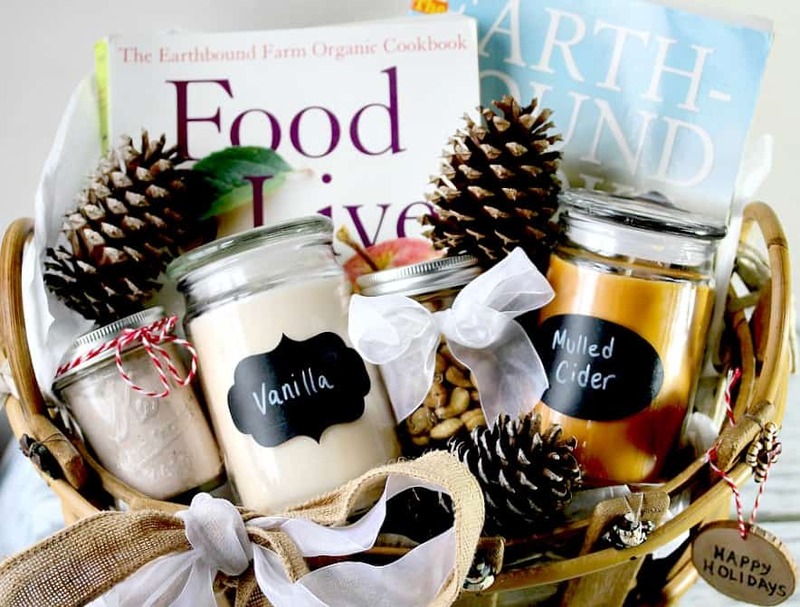 Do you have any other gift ideas to include in a rustic holiday gift basket? I’d love for you to share them in the comments! Thank you so much for stopping by!